End-users are often argued to be the source of innovation in Open Source Software (OSS). However, most of the existing empirical studies about OSS projects have been restricted to developer sub-communities only. In this paper, we address the question, if and under which conditions the requirements and ideas from end-users indeed influence the development processes in OSS. 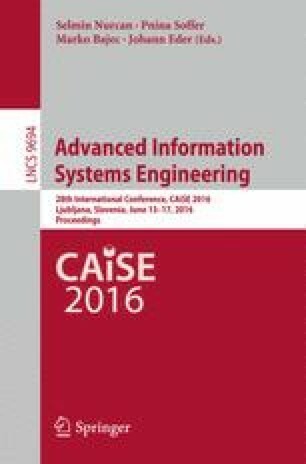 We present an approach for automated requirements elicitation process discovery in OSS communities. The empirical basis are three large-scale interdisciplinary OSS projects in bioinformatics, focusing on communication in the mailing lists and source code histories over ten years. Our study results in preliminary guidelines for the organization of community-oriented software development.